First Squad detectives report the arrests of two individuals for an incident involving narcotics that occurred on Wednesday, March 30, 2016 at 9:15 pm in Freeport. 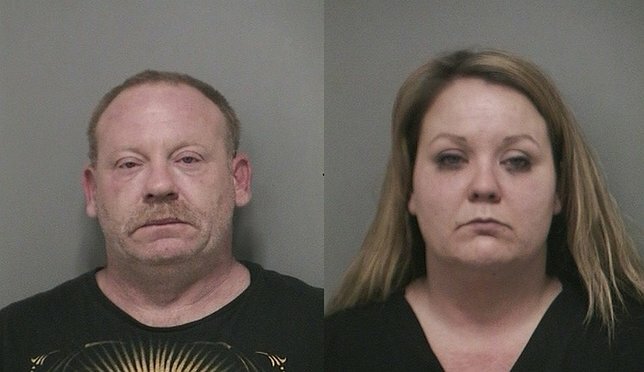 Anthony Helbock (pictured left), is charged with Criminal Possession of a Controlled Substance, Criminal Sale of a Controlled Substance, and Criminal Possession of a Controlled Substance for selling heroin to Ms. Genua. Nicole Genua (pictured right), is charged with Tampering with Physical Evidence, 2 counts of Criminal Possession of a Controlled Substance, and Endangering the Welfare of a Child. Freeport, NY - March 31st, 2016 - First Squad detectives report the arrests of two individuals for an incident involving narcotics that occurred on Wednesday, March 30, 2016 at 9:15 pm in Freeport. According to detectives, members of the CIRRT task force, while on patrol in the vicinity of the Freeport train station, observed a narcotics transaction by a female who exited her vehicle and obtained a quantity of drugs from a male who was seated on the driver’s side of his car. After driving away from the scene, Nicole Genua, 29, of Sycamore Lane, Levittown was pulled over and observed throwing several folded pieces of paper from the car window. A subsequent investigation found Genua to be in possession of a small quantity of heroin and 2 pills believed to be clonazepam. During her arrest, Genua was found to have her 7 year old son with her who was in the rear passenger seat. He was later released to his father at the First Precinct. Anthony Helbock, 45, of Bell Court, Bellmore, the driver of the other vehicle, was also pulled over and found to be in possession of 2 bags of heroin. He too was placed under arrest without incident. Genua is charged with Tampering with Physical Evidence, two (2) counts of Criminal Possession of a Controlled Substance 7th Degree and Endangering the Welfare of a Child. Helbock is charged with Criminal Possession of a Controlled Substance 3rd Degree, Criminal Sale of a Controlled Substance 3rd Degree and Criminal Possession of a Controlled Substance 7th Degree. Both defendants will be arraigned in First District Court, Hempstead on 03/31/2016. Subject: LongIsland.com - Your Name sent you Article details of "Freeport Mother Arrested After Buying Heroin with 7 Year Old Son in Car, Dealer Nabbed by NCPD CIRRT Task Force"